Homeschooling: It’s part parenting, parting schooling, and pure craziness at times. Homeschooling is all-consuming. Homeschool moms are the moms and the teacher. Their job is 24/7. And as for rest . . . what’s that? I had a chance to write the novelization of the movie Moms’ Night Out. 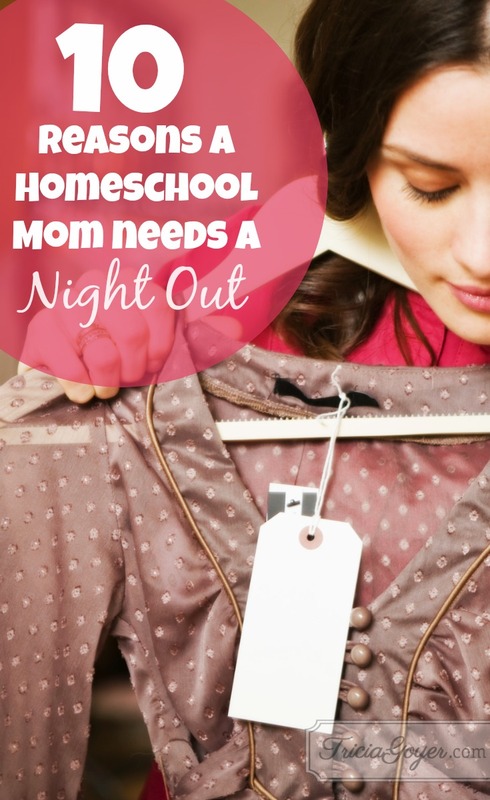 Working on this project made me realize that more than anyone, homeschooling moms need a night out. Here are the top 10 reasons why homeschool moms need a break! 10. To have a parent/teacher conference . . . in peace. 9. To dress like an adult again (i.e. no yoga pants or jeans allowed!). 8. To reconnect with friends and talk about things other than curriculum choices/challenges. 7. To connect with other moms (from all walks of life) and realize you’re not the only one on this challenging parenting journey. 6. Uninterrupted conversation (unless you count the wait staff as an interruption . . . which we don’t!). Discover the other reasons and read the rest of this post at HEDUA.com. Moms’ Night Out is a novelization of the hilarious family comedy that celebrates real family life—where everything can go wrong and still turn out all right. All Allyson and her friends want is a peaceful, grown-up evening of dinner and conversation . . . a long-needed moms’ night out. But in order to enjoy high heels, adult conversation and food not served in a bag, they need their husbands to watch the kids for a few hours—what could go wrong? Chronicling one night out gone awry, three harried moms, their husbands, a sister-in-law with a misplaced baby, a tattoo parlor owner, a motorcycle gang, and a bewildered cabbie all learn to embrace the beautiful mess called parenting. This book spotlights the unfulfilled expectations and serial self-doubts many moms feel . . . then reassures us that the key is raising kids in a loving home. Mom’s Night Out is an endearing, true-to-life comedy.